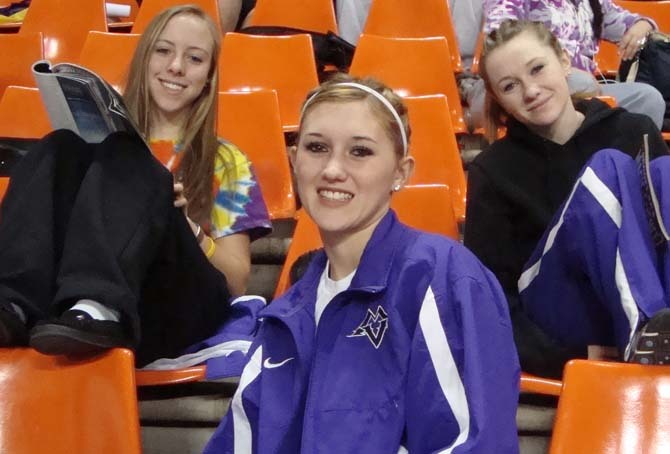 Hannah Kirk, Julia Leonard, and Molly Bonds competed well at the Simplot Games indoor track meet in Idaho. 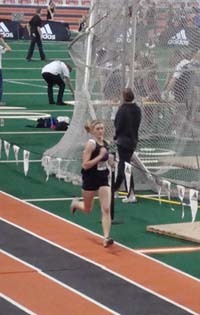 Five girls from Berthoud High School participated in the 33rd Simplot Games this past week. The Simplot games is one of the nation’s premier high school indoor track and field meets. This year’s event was held at Idaho State University in Pocatello, Idaho. The five Berthoud athletes joined over 2,000 competitors from 20 different states at the University’s Holt Arena. 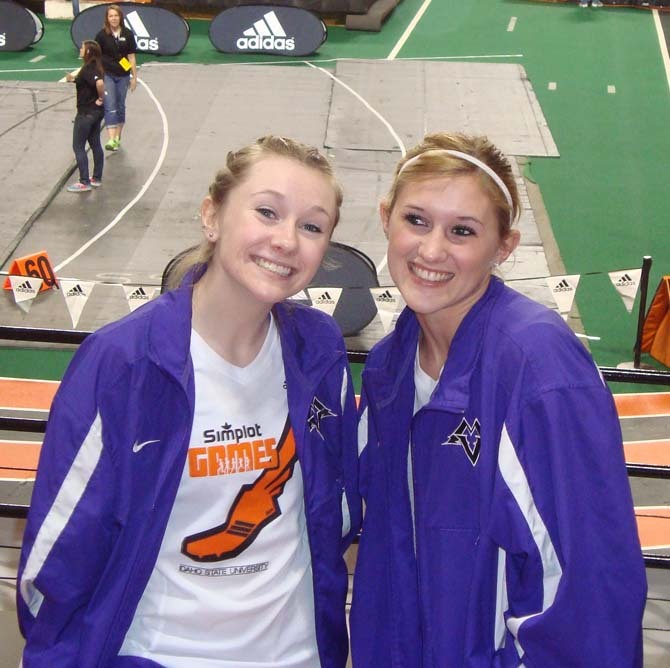 Cheyenne Hall and Ashley Prescott competed for the Fort Collins Track Club. Molly Bonds, Hannah Kirk and Julia Leonard competed for Mountain View Track Club. The girls have been participating in indoor meets since January and the Simplot Games was the culmination of their indoor season. The meet, sponsored by Simplot Foods and Adidas is one of the finest indoor meets with top athletes attending from California, New York, and around the country. “Simplot” is considered by many to be equivalent to a national championship meet. Therefore, just making it to the finals of an event is quite an accomplishment. The Mountain View Track Club qualified for the finals in the 4 x 400 meter relay and the 1600 medley relay. Julia Leonard was the anchor, last leg, of both qualifying relays and Molly Bonds was on the 4 x 400 meter relay. The medley team placed ninth out of 41 teams and the 4 x 400 m relay placed tenth. Cheyenne Hall missed making the automatic qualifying standard in the triple jump by less than an inch. The Fort Collins relay team with Hall and Prescott was the thirteenth team in the prelims; twelve teams advanced to the finals. After a week of rest, the Berthoud girls will hit the outdoor season running for Berthoud High School. This is shaping up to be an excellent track season for the Spartans. Julia Leonard, Ashley Winrick, Allison Lenart, and Moriah Zachary placed 9th in the medley relay at the Simplot Games indoor track meet.